With unaffordability reaching levels not seen in decades across some of the most expensive urban markets in the US, a housing-market rout that began in the high-end of markets like New York City and San Francisco is beginning to spread. And as home sales continued to struggle in August, a phenomenon that realtors have blamed on a dearth of properties for sale, those who are choosing to sell might soon see a chasm open up between bids and asks - that is, if they haven't already. While home unaffordability is most egregious in urban markets, cities don't have a monopoly on unaffordability. According to a report by ATTOM, which keeps the most comprehensive database of home prices in the US, of the 440 US counties analyzed in the report, roughly 80% of them had an unaffordability index below 100, the highest rate in ten years. Any reading below 100 is considered unaffordable, by ATTOM's standards. Based on their analysis, one-third of Americans (roughly 220 million people) now live in counties where buying a median-priced home is considered unaffordable. And in 69 US counties, qualifying for a mortgage would require at least $100,000 in annual income (Assuming a 3% down payment and a maximum front-end debt-to-income ratio of 28%). As one might expect, prohibitively high home prices are inspiring some Americans to relocate to areas where the cost of living is lower. 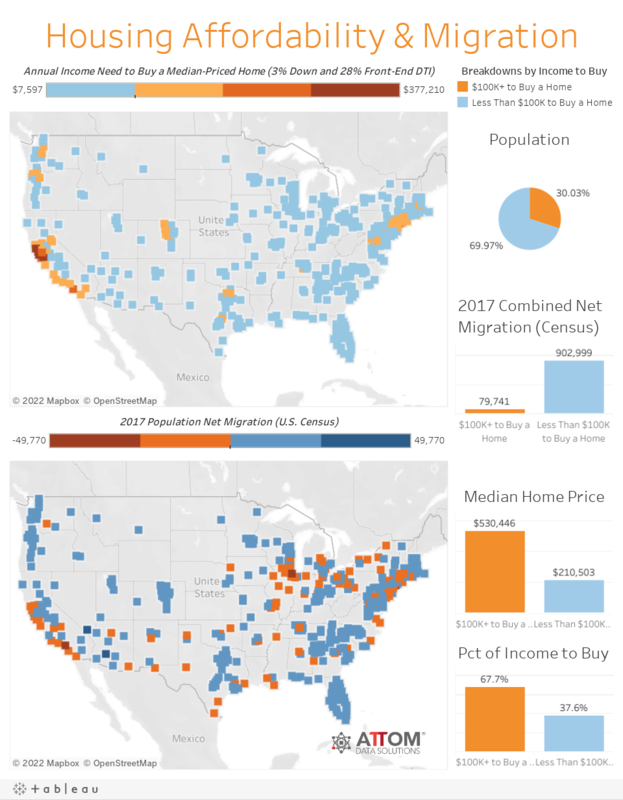 US Census data revealed that two-thirds of those highest-priced markets experienced negative net migration, while more than three-quarters of markets where people earning less than $100,000 a year can qualify for a mortgage experienced net positive migration. Rising home prices have played a big part in driving home unaffordability, but they're not the whole story. Stagnant wages are also an important factor. The median nationwide home price of $250,000 in Q3 2018 climbed 6% from a year earlier, which is nearly twice the 3% growth in wages during that time. Looking back over a longer period, median home prices have increased 76% since bottoming out in Q1 2012, while average weekly wages have increased 17% over the same period. Instead of fighting to overpay for existing inventory, one study showed that, for now at least, most Americans would be better off renting than buying a residential property. 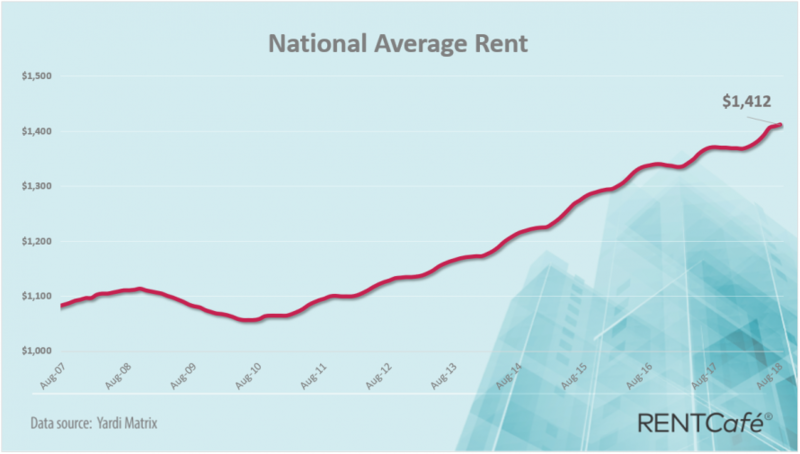 According to the latest national index produced by Florida Atlantic University and Florida International University faculty, renting and reinvesting will "outperform owning and building equity in terms of wealth creation."